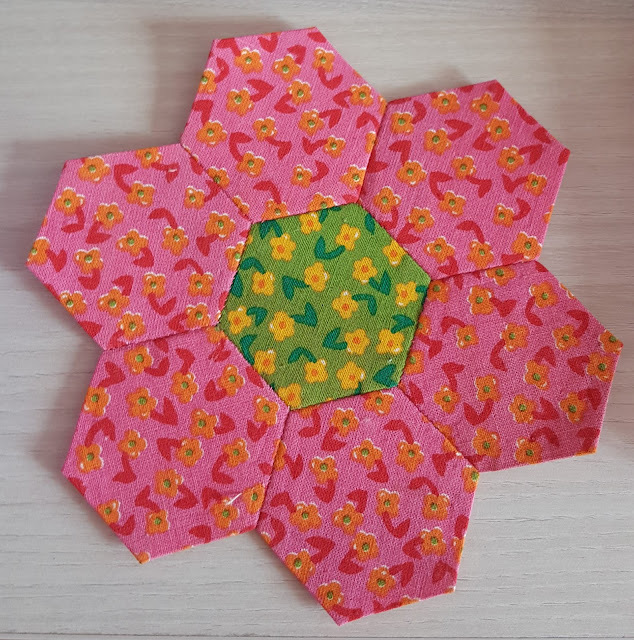 I am new to foundation paper piecing and I just love it. I know it takes time to finish one with all these tiny pieces but it does not matter for me. I have no hurry. I like the process itself. To me it is like solving a puzzle and I like it most when I see the result. It comes out perfect as long as you follow the steps right. I've made some other fpp before and the more I make the more I like it. So I will continue finding free patterns on the net, making my own and sharing the links with you. 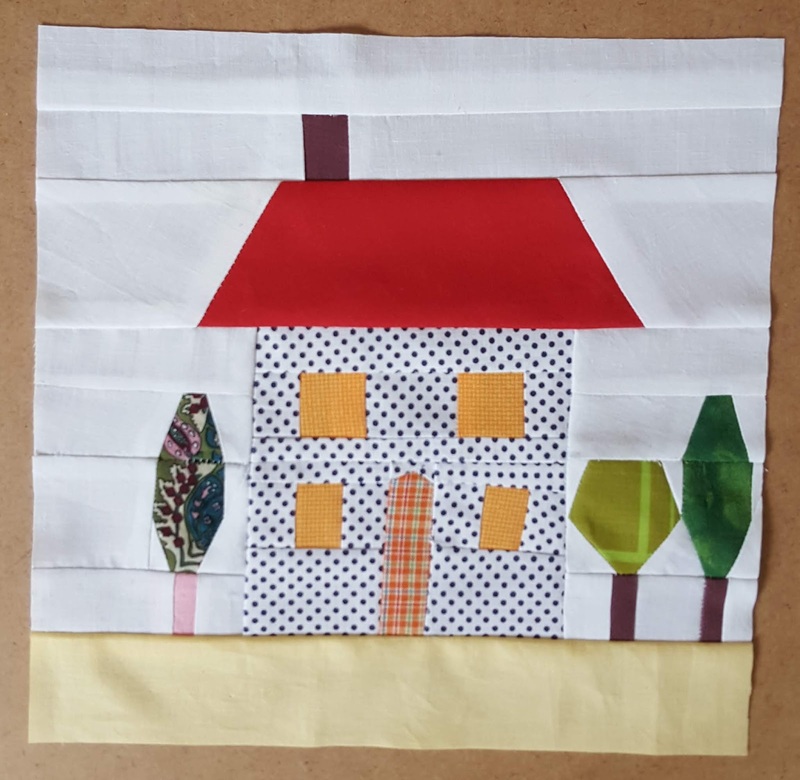 This house block belongs to Wombat Quilts. I like the trees near the house especially. 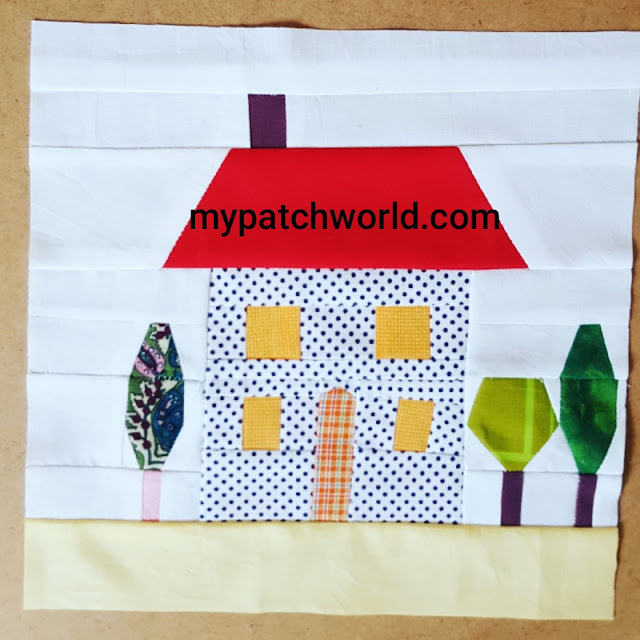 They are super cute and I will be making some more in different colors, because I plan to make a lap quilt with these house blocks. If you want to make this below is the link to the free pattern of the house block. 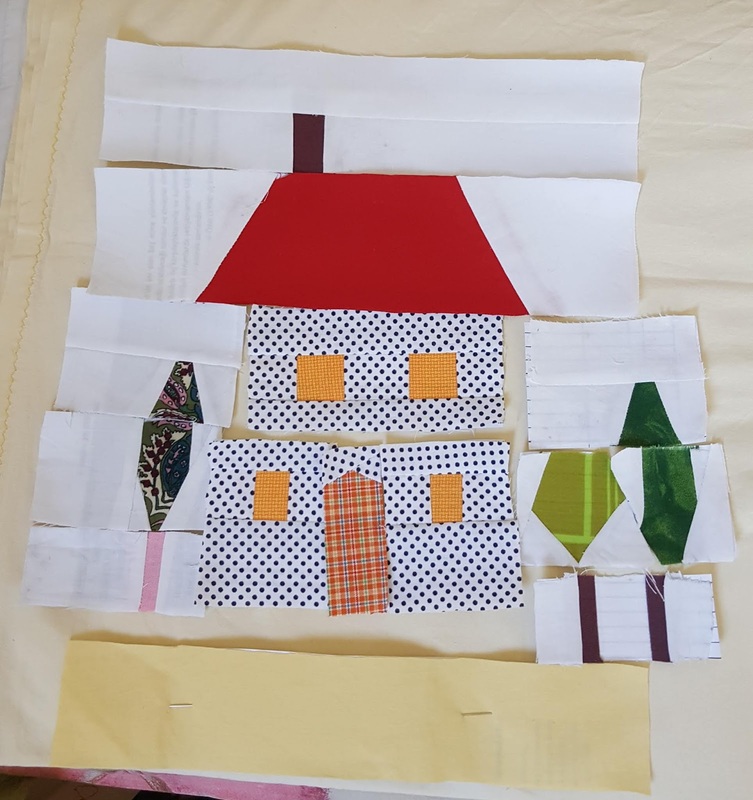 The house block have 13 seperate parts, you sew each of them and then join them together. It finished at 10 " wide. 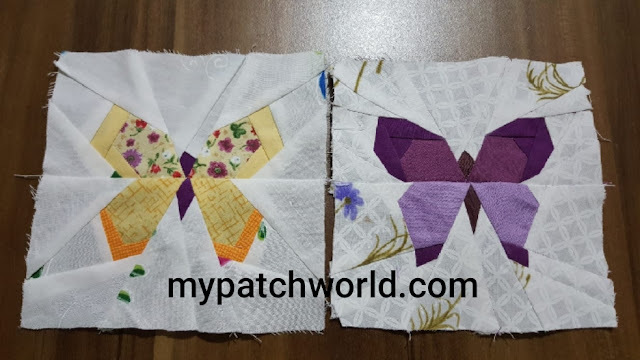 So easier to handle compared to these 5" butterfly blocks I have made before. Whatever you do, you should be enjoying the process and absolutely I do. Enjoy your sewing!